A vision for change, the late Arthur C. DellaVecchia and his wife, Helen (Simone) wanted to provide Southington and its surrounding communities with a choice. With other funeral homes currently established, they both envisioned an elite parlor that would provide professional and affordable service to those in need. 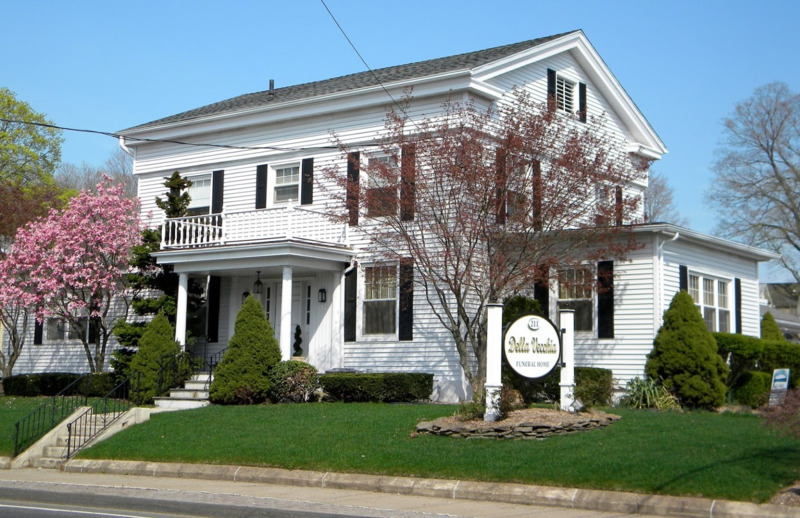 With that, they opened their doors on North Main Street in 1948 and continue to be Southington’s Premier Funeral Home. 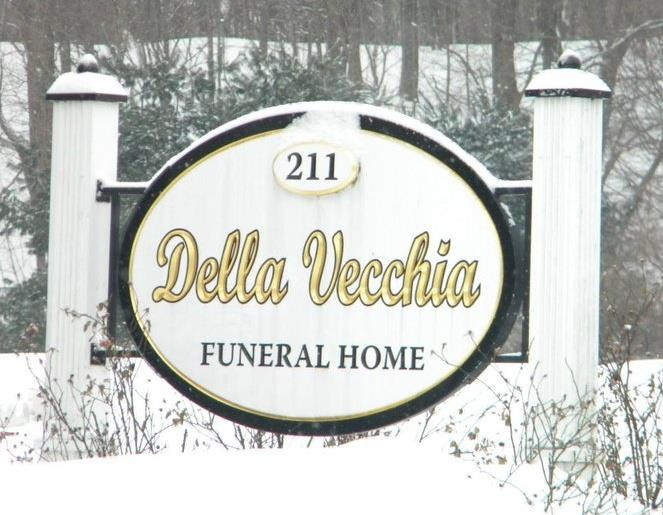 For over sixty years, DellaVecchia Funeral Home has stood as a tribute to those who have come before us and labored to create this town, and we pay tribute to them and their families by offering a gracious home-like atmosphere where those memories can be shared. With much acceptance by the Southington community, came expansion. 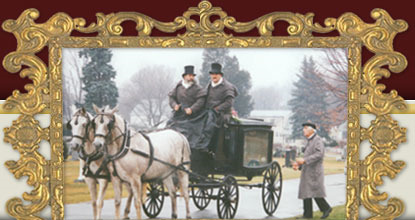 Since its incorporation, Wolcott residents were left celebrating their loved one’s lives in out of town funeral parlors. That changed in 1967, when Mr. & Mrs. DellaVecchia opened the doors at 690 Woodtick Road. Yet another expansion followed in 1987 with partnership into D’Angelo Funeral Home of Middletown, Conn. Expansion of locations led Mr. DellaVecchia’s son, David to become licensed and help his parents with serving the communities. Ten years later, David’s sister, Adele (DellaVecchia) Fama and her husband, Philip joined in the day to day operations. Following Mr. DellaVecchia’s death, both David and Adele assumed control of the facilities. While we are not able to lessen the burden of loss, we strive to make the services we offer personalized and meaningful. The families we serve are the ones that inform us of their requirements in terms of services and time frames; we do not take it upon ourselves to pressure the family with unwanted services and goods. Throughout the years, we have developed a high level of sensitivity to the religious, ethnic and economic circumstances of all the families we serve. In effort to improve all facets of service, our staff regularly attends continuing education programs and seminars. These programs serve to keep us informed of current changes in local, state and federal rules and regulations. We are available to answer questions regarding funerals, advanced planning, or for outside resource information. Our contribution to the community goes far beyond the funeral service. We know that the funeral itself is only the first step in the grieving and healing process. In the weeks and months that follow, we continue to serve by keeping in touch and offering resources of comfort during the difficult times, as they desire. Arthur Carl DellaVecchia was born in Southington on July 25, 1921 to the late Sebastian & Maria (Marcuccio) DellaVecchia. He attended local schools and graduated from Lewis High School as an outstanding football player. Mr. DellaVecchia furthered his education at the University of Missouri, Hartford College and graduated from McAllister School of Embalming in 1942. He also served our country during WWII with the U.S. Navy. He served on the USS Pittsburgh and participated in several pivotal campaigns including Iwo Jima. Upon his return, he married his beloved wife of fifty-four years, Helen (Simone) DellaVecchia and raised their two children. Mr. DellaVecchia began working part time as a writer for area newspapers, including the Hartford Courant and was the first Southington correspondent for the New Britian Herald. He also enjoyed substitute teaching at Southington High School and E.C. Goodwin Technical School of New Britain. 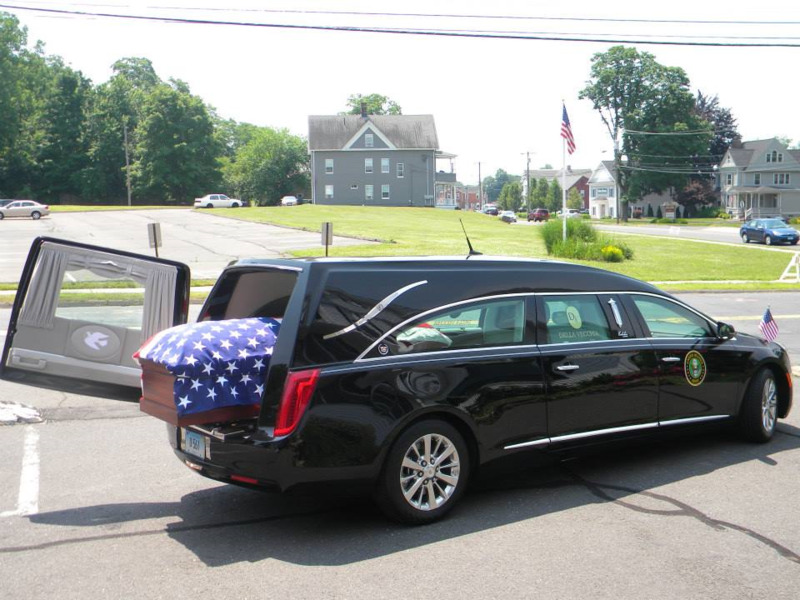 His career in funeral service began in 1948, when he opened the DellaVecchia Funeral Home. His vision was to provide uncompromising and professional service to the bereaved in the area. With such a receptive response from the Southington Community, came a new vision. 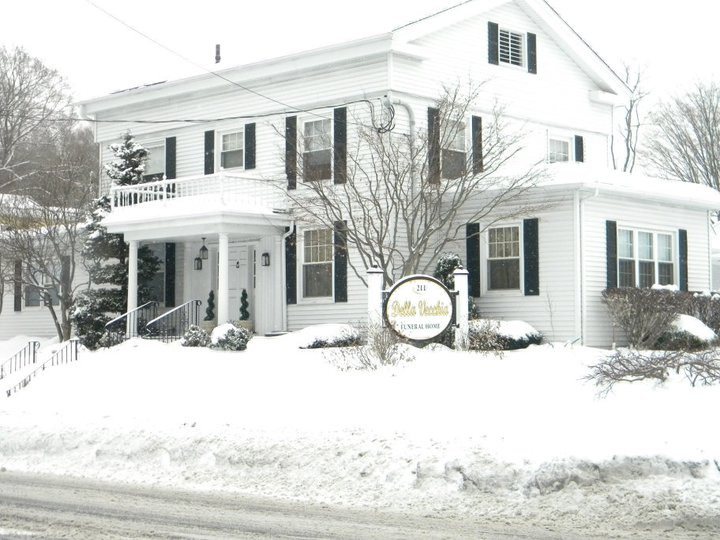 His vision was to offer the town of Wolcott with its first ever funeral home, which opened in 1967. With such a deep passion to help others, he decided to extend his hand again to the community of Middletown in 1987, where he became co-owner of the D’Angelo Funeral Home. His love of people extended into the political arena, where he thrived in the RTM, which was the town form of government in Southington prior to the board of selectmen. He then became a member of the Board of Selectmen for several terms. He represented Southington in the State House of Representatives for five terms. Additionally, he was the chairman for the town’s Senior Citizen Commission. He was a former member of the Board of Directors for the Southington Police Commissioners and the Board of Directors at Bradley Memorial Hospital. Mr. DellaVecchia’s past achievements included UNICO Gold Medal Award in 1971, St. Dominic School 1995 Order of the Lamb Award, the 1997 Riccio Brothers Award for Business Man of the Year and the YMCA Person of the Year Award in 2002. A devout Catholic, he was a lifelong member of St. Thomas R.C. Church and a member of its parish council. He belong to numerous organizations which included the Board of Directors of Oak Hill Cemetery, Connecticut and National Funeral Directors Associations, UNICO CLUB where he served as past president, he was a charter member of the Rotary Club of Southington, a member of the Democratic Town Committee, Lifetime member of the Knights of Columbus, American Legion, Calendar House Golf League and the Gang of Scarpa Shoda. Although Mr. DellaVecchia gave extensively to the community, his first love was his family and friends. He enjoyed the simple pleasures in life, such as gardening, walking his dog “Doc”, playing cards and his wife’s home cooking. On Sunday, May 9, 2004, Mr. DellaVecchia succumbed to a courageous battle with Mesothelioma Cancer. The communities in which he served truly lost an icon and will be missed. Born in Southington, David is the son of the late Arthur C. DellaVecchia and Helen (Simone) DellaVecchia who still resides in Southington. He attended local schools and graduated from Southington High School. He furthered his education at Northwestern Connecticut Community College and Central Connecticut State University. He attended New England Insitute of Boston, Mass, where he studied Mortuary Science. During this time, he helped his father in the family business. 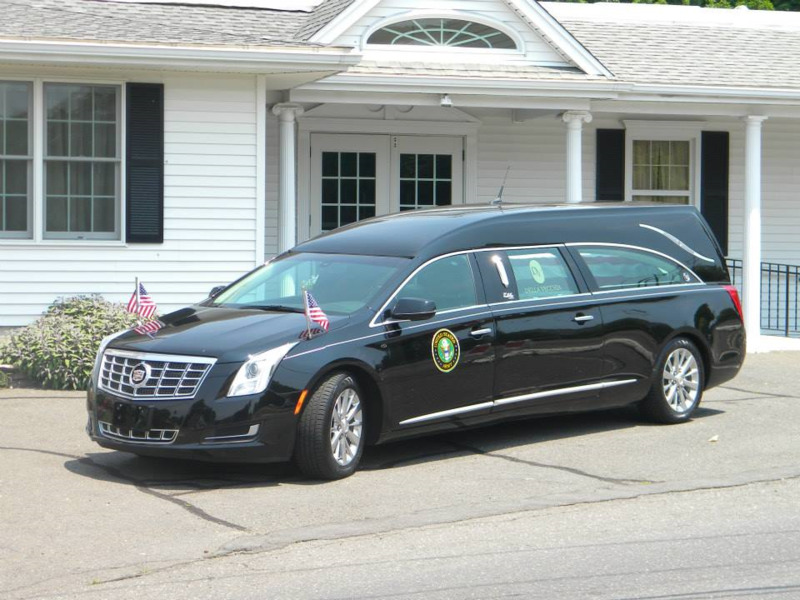 He became licensed as a Funeral Director in the State of Connecticut in 1972. He joined his father in the day-to-day operations of serving the communities of Southington & Wolcott and its surrounding towns. Following his father's death in 2004, David assumed control of the day to day operations of the funeral homes,. He continues in his father's footsteps by embedding himself in the community. He is a member of the UNICO Club, where he served as President and National Secretary. David also served as Selectman for the town of Southington for six years. He was a member of the Southington Library Board of Directors for fifteen years. He's also been a volunteer for the Red Cross for over fifteen years, a member of the Southington Elks Lodge No. 1669 and a member of the National and Connecticut Funeral Director's Association. He is a member of St. Dominic R.C. Church of Southington. David currently serves on the Southington Housing Authority. He was a former Police Commissioner in Southington from 2009-2011.. He also serves on the Board of Directors at Oak Hill Cemetery of Southington. He's a member of the Democratic Town Committee. In his spare time, David enjoys playing tennis and golf. He also enjoys traveling and spending time with his family. Philip graduated from American Academy McCallister Institute New York, NY in 1977, with a degree in Mortuary Science. He completed his residency at a New Haven funeral home. He joined the DellaVecchia team in 1989 and married his wife, Adele DellaVecchia. Together, they have one daughter, Olivia and reside in Bethany. In his spare time, he enjoys spending time with his family and collecting Lionel Trains. Nicholas Procaccini is a life long Southington resident. He graduated from Briarwood College and is a licensed funeral director and embalmer. Nick has been with the DellaVecchia Funeral Home for over 15 years. He is also a CT licensed insurance agent and a Kenpo Karate instructor. Marc has been employed by the DellaVecchia Funeral Home since 2001 as the manager of the Wolcott Facility and assists at the Southington location regularly. Marc L. Frigon is a graduate of Holy Cross High School, St. Anselm College and New England Institute earning a Bachelor of Arts in Computer Science, and Associates in Mortuary Science. 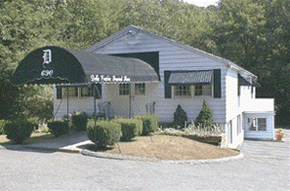 He has been a CT licensed embalmer and Funeral Director since 1987. He also holds a certificate in Website design from Naugatuck Valley Community College. Marc is the third generation of his family in funeral service. Dating back to the 1940s when his grandparents Leon and Rita Frigon owned a funeral home in Waterbury that primarily served the French-Canadian community. Marc also worked at the Sisk Brothers Funeral Home in Hamden, The Spadaccino Funeral Home in Bridgeport and Woodtick Memorial in Wolcott. For over 25 years Marc has volunteered his time with several community service organizations in Waterbury and Wolcott. Currently he serves as the President of The Wolcott Exchange Club and is a parish Trustee and a lector at All Saints/Todos Los Santos Parish (formerly the Shrine of St. Anne) in Waterbury. In 1989, Sherri graduated in the last class of the Former New England Institute of Applied Arts & Sciences, located in Boston, MA. In 2004, Sherri joined the DellaVecchia family to serve members of the Southington, Wolcott and surrounding communities. A resident of Meriden, Sherri is an active parishioner at St. Stanislaus Church. She is a member of the Southington Chamber Women, the Meriden Council of Catholic Women and the Connecticut and National Funeral Directors Associations. She also enjoys spending time with her family. Liz, a lifelong resident of Wolcott is the daughter of the late William and Rose (Vendrella) Metesky of Waterbury and graduated from Wolcott High School in 1976. She continued her education at the former Mattatuck Community College, known today as Naugatuck Valley Community College and received her degree in General Business and Accounting. Liz worked for various companies from plumbing to electrical and joined the DellaVecchia team in 2005. She is the office manager in both of our locations and plays an intregral roll in our firms. She married to Michael J. Barry, Sr. of twenty years and has two children, Michael Jr. and Brianna. On her spare time, she enjoys camping, traveling and fine dining. But most of all, she’s a proud soccer and dance mom who enjoys spending time with her loving family. A lifelong resident of Southington, Chet is the son of the late Teofil and Helen (Frankowski) Dabrowski and graduated from Lewis High School in 1949. He graduated from the former Post Junior College of Waterbury in 1951. Following college, he served our country by entering the US Army’s 759th Military Police Battalion during the Korean Conflict. Upon his return home to Southington, he worked in construction for various companies throughout the area. At the age of 25, he joined the Southington Police Department. After 35 years of service and achieving the rank of Sergeant, he retired in 1989. During his employment at the police department, he joined DellaVecchia Funeral Home, where he worked under the direction of the late Arthur DellaVecchia. Upon his retirement, he continued working with Art’s son, David, where he continues to help our families during such a difficult time. Chet married his high school sweet heart of fifty-eight years, Florence “Sandy” (Sankowski) Dabrowski. To this day, Chet and Sandy still enjoy their long-time tradition of going on their weekly “Saturday Night Date”. They have a daughter Kathleen, who now resides in Vermont along her husband Terry and their son, Jonathan. He enjoys spending time with his family, kayaking, golfing, hiking, skiing and fishing. In his younger years, he was a member of the National Ski Patrol. Bob is a retired school teacher having taught for nearly twenty years. He was also an administrator at the University of Hartford for nearly fifteen years retiring six years ago. When not working at the Funeral Home, Bob enjoys gardening at his home and just being retired.